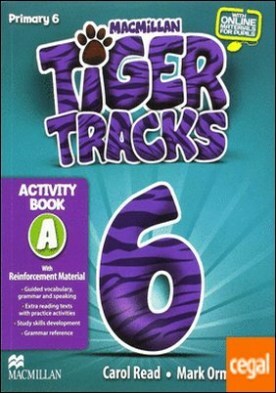 TIGER 6 Ab A por Read, Carol / Ormerod, Mark. TIGER 3 Ab A Pk por Read, Carol / Ormerod, Mark. TIGER 5 Ab A por Read, Carol / Ormerod, Mark. TIGER 4 Ab A Pk por Read, Carol / Ormerod, Mark. TIGER 3 Ab A Pk 2014 por Read, C. / Ormerod, M.